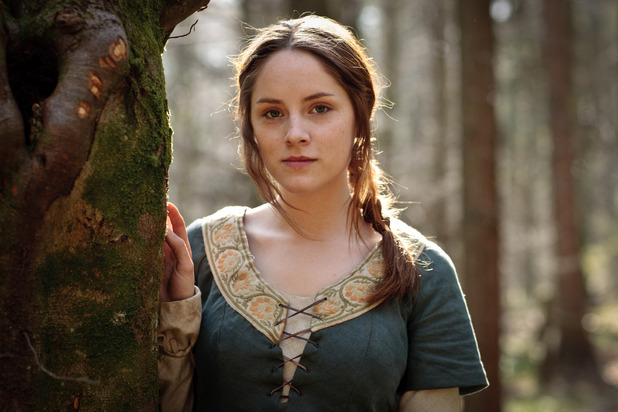 Last week we reported that rising star Sophie Rundle (The Bletchley Circle, Episodes), is to take the lead alongside Russell Tovey (Being Human, Him & Her), Mark Lewis Jones (Stella, Titanic), Michael Smiley (Utopia, Luther) and Christine Tremarco (Good Cop, Five Days) in an exciting new Sky Living, two-part crime drama, ‘Talking To The Dead’. We now have more information about the drama – a co-production between Bonafide Films and Warp Films for Sky Living’s Drama Matters season. The Cardiff-based thriller tells the modern story of wayward police officer, DC Fiona Griffiths (Rundle), who suffers from a secret history of Cotard’s Syndrome; a mental illness which has left her with a deep and peculiar empathy for the dead. Adapted by Golden Globe Award nominee Gwyneth Hughes (The Girl, Five Days), ‘Talking To the Dead’ is based on an original novel of the same name from acclaimed author, Harry Bingham (The Sons Of Adam, The Lieutenant’s Lover). Other top names set to feature include Keith Allen (Robin Hood), Syrus Lowe (Doctors), Lois Winstone (Tamara Drew) and Adrian Schiller (Silk). When a prostitute and her young daughter are found brutally murdered on her first day with Cardiff’s Major Crime Unit, DC Fiona Griffiths (Rundle) is desperate to be involved in the case. Under the watchful eye of DCI Owen Jackson (Lewis Jones), Fiona finds her investigations frustratingly limited to following the paper trail of a bank card found at the crime scene, registered to a local shipping tycoon who mysteriously died in the Severn Estuary nine years ago. This is not the first time Fiona has uncovered dark secrets in the detritus of people’s everyday lives and an overlapping embezzlement investigation into a corrupt ex-cop, Penry (Smiley), adds to her work load. However, the highly committed and potentially brilliant Fiona is compelled to take matters in her own hands. Working alongside respected Detective Sergeant Huw Brydon (Tovey), the rookie cop must take care not to ruffle feathers as she surreptitiously pursues leads. As she delves deeper into the investigation Fiona’s obsession with the crime increasingly draws out her own personal and professional demons leading her to question whether she really is as cured of her condition as she previously thought. Margery Bone is Executive Producer for Bonafide Films and Robin Gutch for Warp Films. China Moo-Young (Call The Midwife, Scott & Bailey) is directing with Elwen Rowlands (Vera) producing.